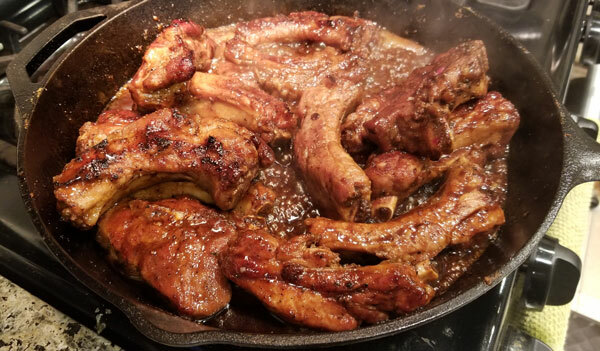 Even though I’m a competition pitmaster and like to cook meats in my grills and smokers, a cast iron pan on the stovetop also does a fabulous job cooking ribs. So when it’s cold snowy or rainy outside, you can still enjoy ribs indoors. 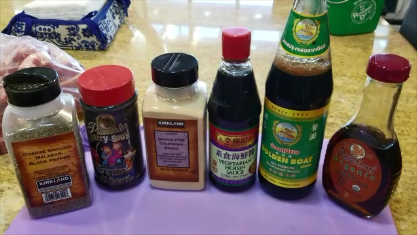 My recipe is super simple with only three dry ingredients for the seasoning and three wet ingredients for the sauce. These ribs are stacked Jenga style to wow your guests and they are mildly sweet, salty, savory and delicious. I use a cup of water to simmer down the ribs to the right tenderness and to coat them completely with the sauce as it simmers down and thickens. I like my ribs chewy with some character and this style of tenderness won’t score well in a barbecue contest as this is more of a backyard recipe on the stove. If you like it spicy, you can add hot sauce to the sauce mixture or toss in some sliced jalapenos or chili flakes. You can garnish with green onions and sesame seeds. 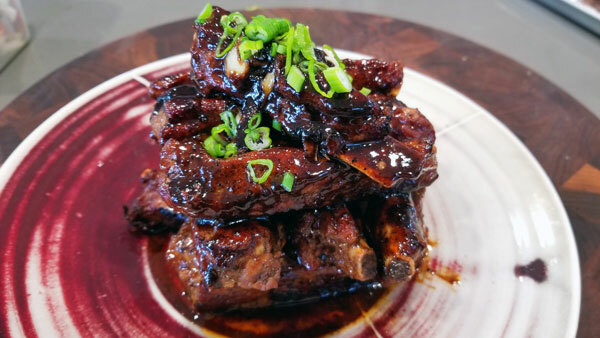 Serve these ribs with some steamed rice. Enjoy.